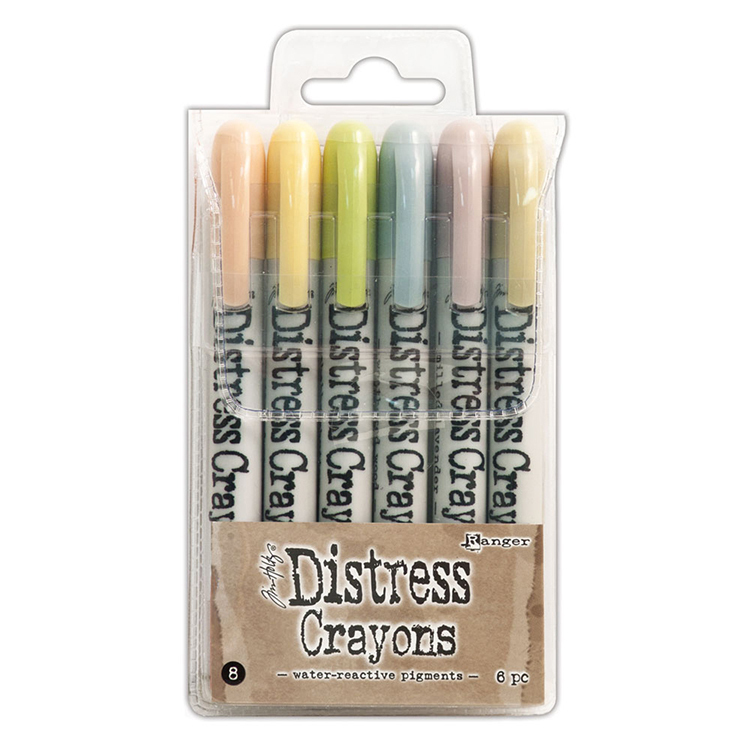 Create brilliant backgrounds, smudge effects and watercoloring projects easily with the Distress Crayons Set #8 by Tim Holtz for Ranger Ink. 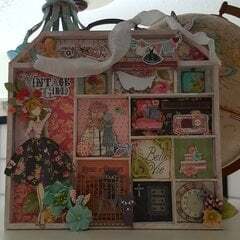 This set of pastel colors includes Tattered Rose, Scattered Straw, Shabby Shutters, Weathered Wood, Milled Lavender and Old Paper. 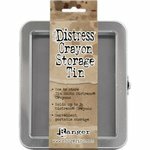 The package contains six water reactive and smooth crayons that work great with your porous surface mixed media projects. I really think they should've been called something besides Crayons because they're anything but waxy to me. You can put the color on the back of your hand like lipstick. Now that's rich, creamy pigment. I like that. These crayons are so beautiful the colors are perfect for spring and many other applications. Perfect. 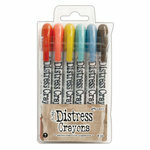 The Distress Crayon line is a great product line. 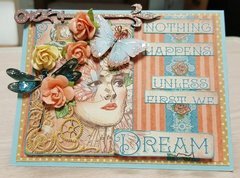 The colors glide on smooth and creamy and are true to the other distress products ( inks, paints) for a perfect match on your crafting projects. They react with water in wonderfully surprising ways - different every time. 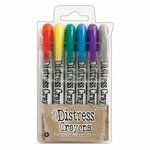 I recommend these Ditress Crayons for everyone interested in water coloring. They mix and blend beautifully. So much fun! These colors are more pastel than the others. 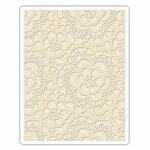 They have the same smooth, blendable consistency of the line and pop on dark surfaces as well as light ones. 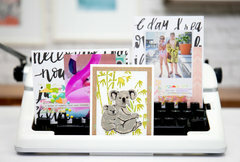 They are water soluble and fun to use. Have been trying to collect the sets as they come out. 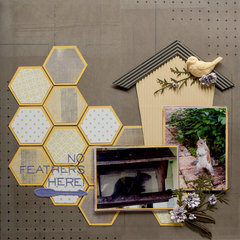 Like these colors and also the service from Scrapbook.com. 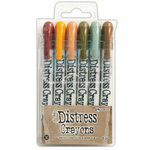 Love these Distress Crayons. 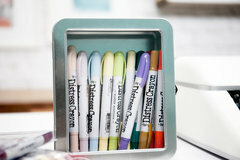 They are very versatile & give you a lot of options for coloring things. Can't wait to buy more colors!